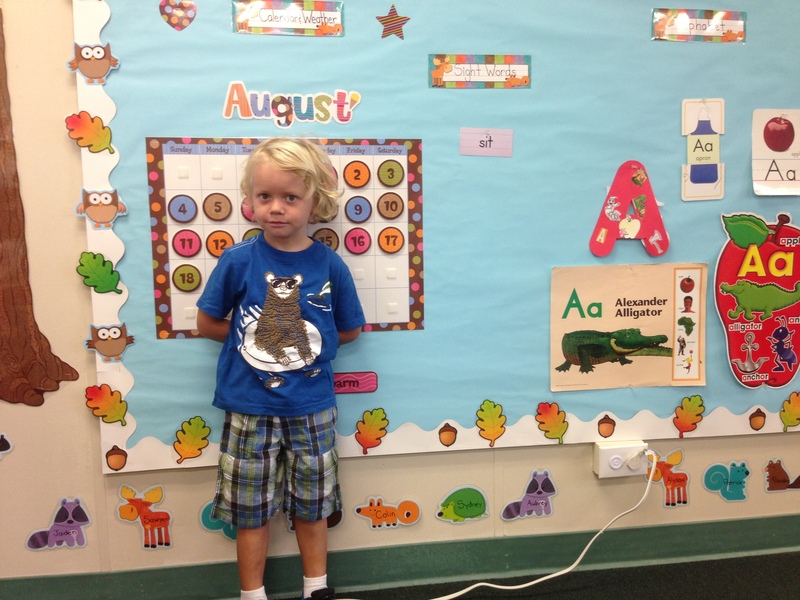 Sawyer on his first day in his pre-k class. He doesn’t look too excited in this picture, but he was happy to be there and a had a good day. He even asked if he could do his homework when we got home. No homework this week!